If you have been active in the internet world over the last week- the one term you wouldn’t have missed is ‘coconut oil’. A recent statement by a Harvard professor has got the food world split right in the middle. According to Harvard Epidemiology Professor Dr Karin Michels, coconut oil is considered as ‘one of the worst foods you can eat“. In her recent video from a talk in a conference in Germany, Dr Michels has mentioned how the stuff in pure white is said to contain high levels of saturated fat and poses a strain on one’s heart and other internal organs. Watch the video here. What are the others in the medical and nutrition world saying about this? The amazing benefits of tender coconut- Click here to read now! According to a decade-old list by the World Health Organisation, coconut oil makes it to the list of things that should be restricted in one’s daily consumption. 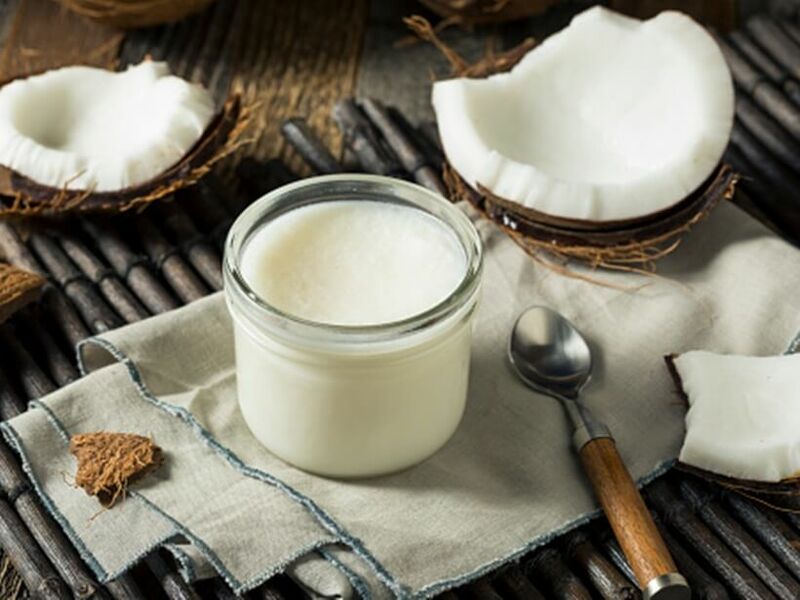 A report by the American Heart Association titled Dietary Fats and Cardiovascular Disease stated how 72% of the American public rated coconut oil as a “healthy food” compared with 37% of nutritionists indicating a clear disconnect between the medical world and the laymen. It was also observed that both butter and coconut oil raised LDL cholesterol compared with safflower oil, butter more than coconut oil, as predicted by the meta-regression analysis of individual dietary saturated fatty acids. Coconut oil is “probably not quite as ‘bad’ as butter but not as good as extra virgin olive oil,” Kevin Klatt, a molecular nutrition researcher at Cornell University who is studying the metabolic effects of coconut oil, has told CNN in an interview. The Guardian in an article from last year states how a paper in the British Nutrition Foundation’s Nutrition Bulletin last year concluded that there is simply not enough evidence for any health claim based on coconut oil. There are claims that coconut oils work as an easier source of energy and keeps the brain cells active and going that makes it a recommended intake for patients with Alzheimer’s and Parkinson’s, but the medical world is still waiting for concrete proof and studies to substantiate these claims. The 100 most nutritious foods according to BBC- Click here to read now! According to celebrity Indian nutritionist Rujuta Diwekar, who has always harped upon the importance of eating fresh and seasonal foods, mentioned how something that has been available in our places for decades and centuries and is an integral part of our food can only be treated as a superfood and not ‘pure poison’ as is the popular claim now. While some health experts recommend the use of coconut oil and related products for skin care and beauty regime, they don’t advocate the consumption of the same. Coconut, as we know, is an integral part of the Indian household. What is your take on this? Will you be including this superfood or after these recent claims are you going to give it a rest? Let us know what you think through an email to info@padhamhealthnews.org.